Summertime is full of adventure, with endless options for getting outside. For those who enjoy exploring the great outdoors, safety is especially key. As you make your way through the wilderness (or just your own backyard) be mindful not only to protect our precious planet, but also yourself! There are many potential dangers out there, but don’t worry—we’ve got you covered. Here are a few tips on how you can identify "safe" plants and those plants you should steer clear of. Happy trails! 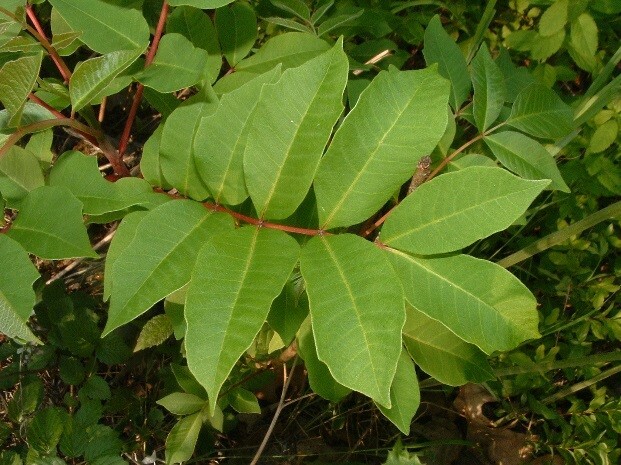 This plant has solid-green pointed leaves that have a smooth and shiny surface and usually grow in groups of three. It can grow as a vine or have more of a shrub-like appearance. 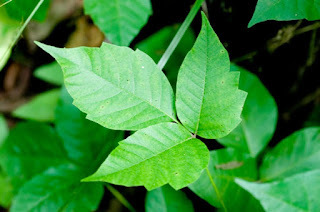 The exact look of poison ivy will change depending on the season, displaying yellow flowers in spring and yellow/red leaves in autumn. This itchy plant also grows in threes, but may also be found in groups of five or seven. 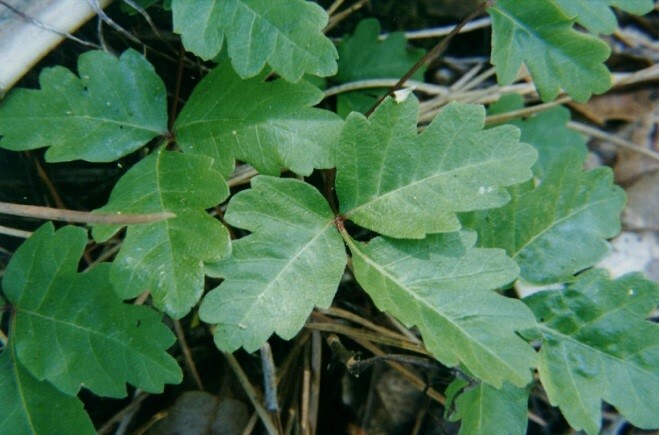 Its leaves are similar in shape to oak tree leaves, but not as defined , and they have a hairy texture. Poison oak usually resembles a shrub, but it may also look like a vine. This rash-inducing troublemaker thrives in the water, so you are more likely to find it in swampy areas. The green leaves grow in groups of sevens to thirteen. Beware! Keep covered. 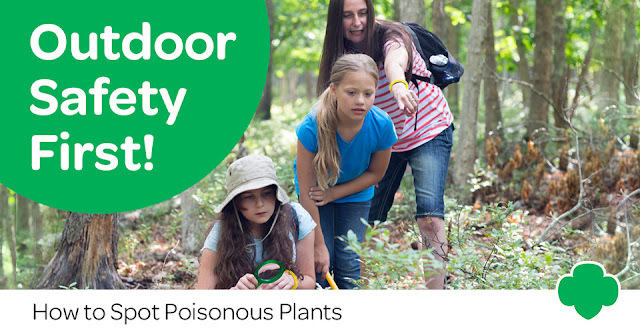 Long sleeves and pants are a great way to protect your skin from accidental contact with poison plants when camping or hiking. Wash wash wash! If you think you came into contact with one of the above plants, wash with soap and water as soon as possible. No soap and water available? Alcohol wipes are also a great option and fit easily in a pocket for on-the-go needs. If a rash develops, don’t scratch it! Scratching only spreads the rash. Of course, if you have any concerns about your health after coming into contact with one of these plants, we recommend contacting your physician.